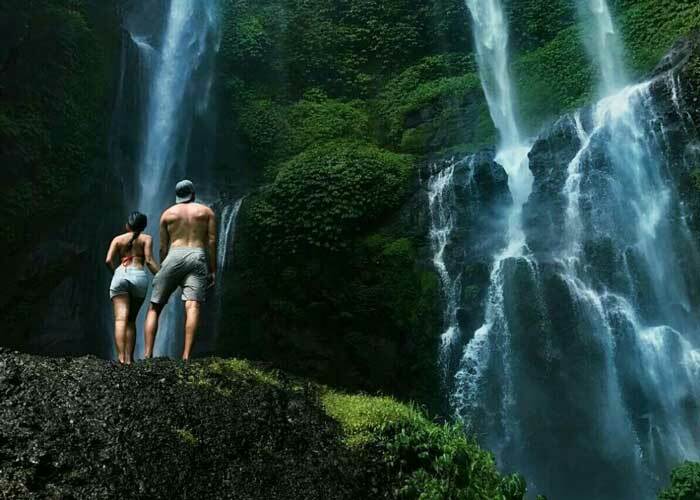 Sekumpul Waterfalls trekking Tour will be started by picked-up in the morning (07.00am) at your hotel lobby by our driver/guide then we will head to Lemukih village. The most famous touristic object in Lemukih village are Sekumpul waterfalls and Fiji waterfalls which are contain of 7 waterfalls. 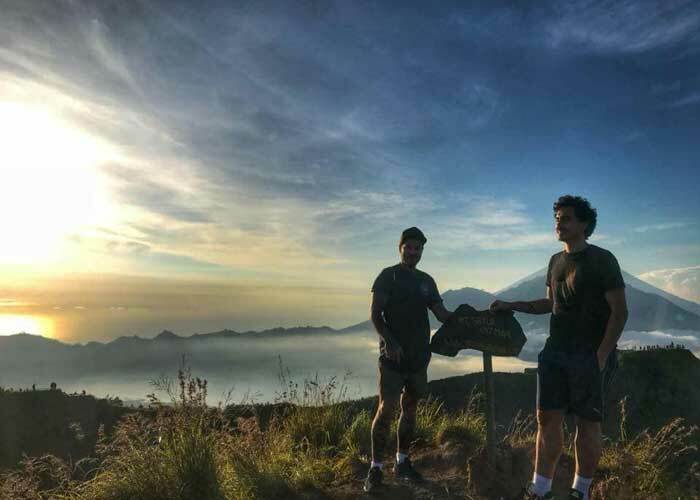 After do registration, we will take you to the Fiji rice terrace with an amazing view of rice terrace, surrounded by mountains, sea, city and the northern part of Bali. The local farmer will provide a young coconut for each of you for the welcome drink, they will pick it up from the tree so you may enjoy it while it still fresh. After you enjoy the welcome drink, we will continue our track to the Natural Water Slide, there are 3 part of it, easy, medium and hard. This place is the alternative, the name is Fiji Natural Water Slide. carved into rock by erosion and millennia of rushing water, lies your alternative to getting your thrills like a child on the "Elephant's Trunk" for more than 15 meters slide down with helmet and safety tools. After slidings we will track directly to the Fiji waterfall which is contain 4 waterfalls. 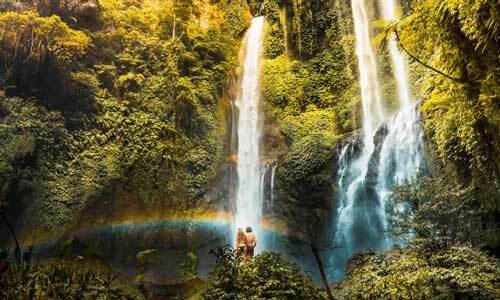 In this place you can feel surrounded by 3 big waterfalls atmosphere that will give you an amazing composure. Those waterfalls are situated on a deep valley, so when you come to this area you will feel like coming into the ‘Jurassic Park World’ in the movie. 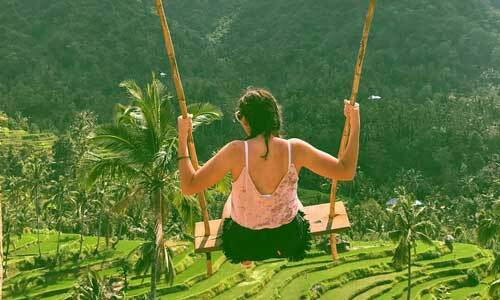 You can reach the waterfall by passing 2 kilo meters path (rice terraces & water slides) with approximately 250 stairs. 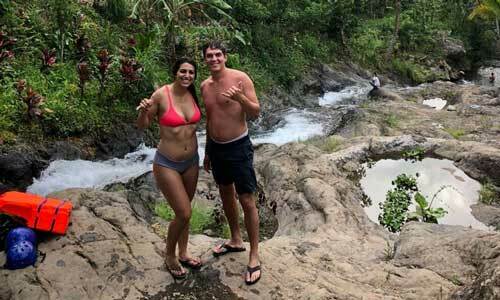 At the waterfalls you may swim in the natural swimming pool which is very safe and you may even Jump from approximately 4 meters cliff into the pool. Towel, Climbing shoes/sandals, Mineral water, Towel, Short pants or swimsuit, Hat, Sun block, Change of clothes, and cash money for local shopping.